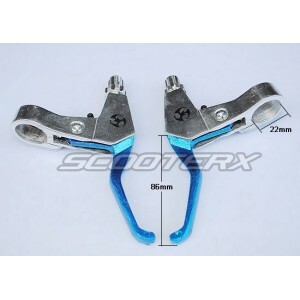 Universal Blue Brake Lever Set - Comes with Left and Right Brake Lever as a set. 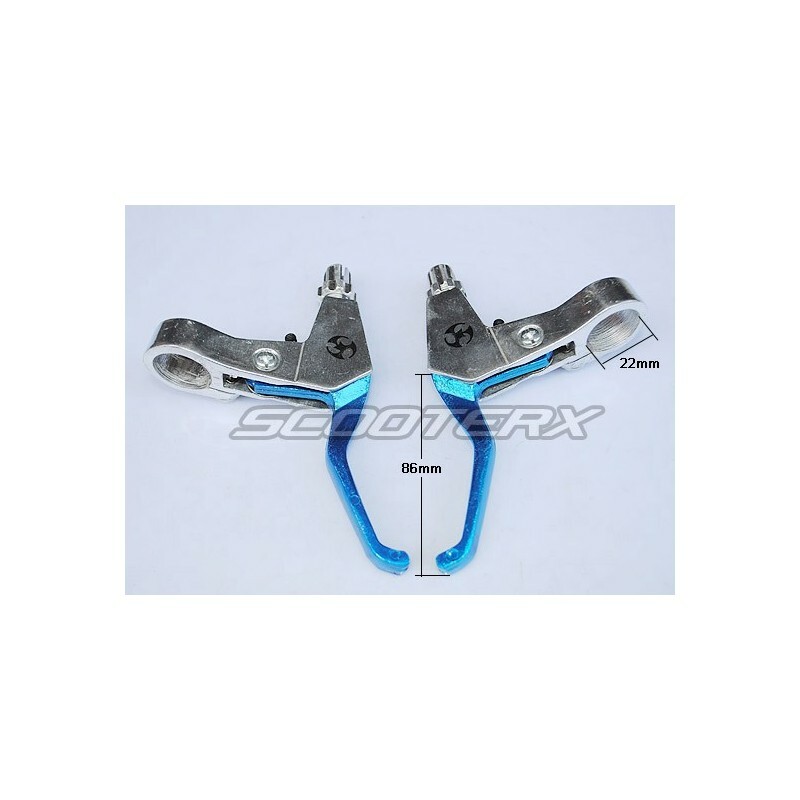 Universal Blue Brake Lever Set - Comes with Left and Right Brake Lever as a set. 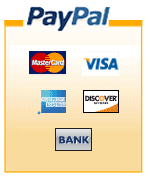 ﻿ This set can be used on most items such as gas scooters, electric scooters, pocket bikes, bicycles, bikes, as well as many other items. If your bar size will fit a 22mm then these will fit your application.